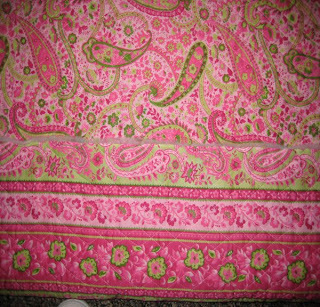 I found this quick and easy way to make a pillow case over at Lazy Girl blog. 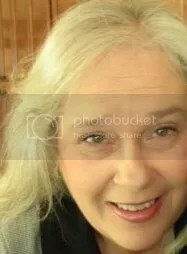 Lazy Girl has some great FREE tutorials. 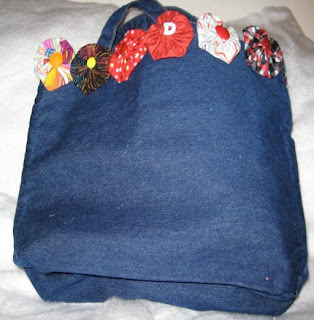 I’ve made some of their bags and they really are easy. 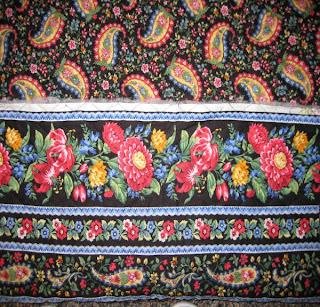 Have you started thinking of all the pillow cases you can make? Have fun! My DH started feeding the rabbits after a major fire destroyed so much vegatation. As you can see the rabbits are becoming very tame. A new pillowcase for me. This is a busy week for me as I am getting ready to go to KY to see my kids. 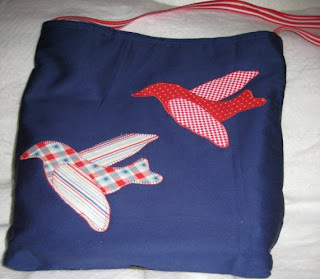 However, I am trying to squeeze in some sewing. 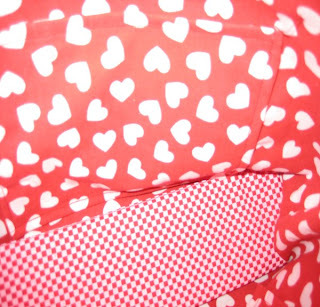 Make lining for red yo-yo bag, I’m thinking hearts. 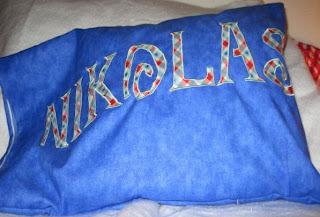 Finish Nikolas’s pillowcase with his name on it. 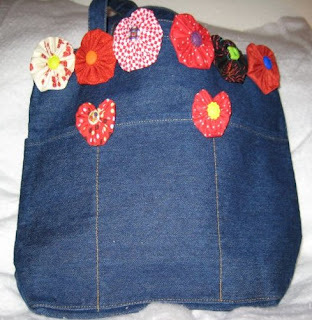 Worked on a denim bag today. Put red yo-yo’s on it and hopefully tomorrow I will get the lining put in. ^^ January block for Strolling the Block. I thought it turned out pretty cute. I’ve started February’s block. 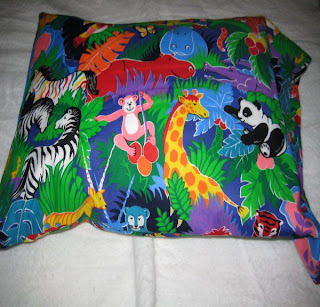 Made 2 jungle pillowcases last week, I’m just a little slow taking pics lately. 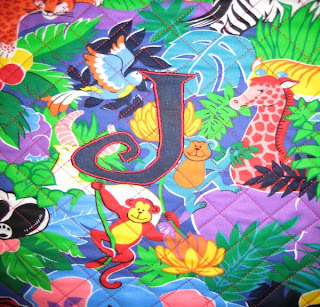 Started the day off making 2 jungle pillowcases, one for Nikolas and one for his friend Jesse. 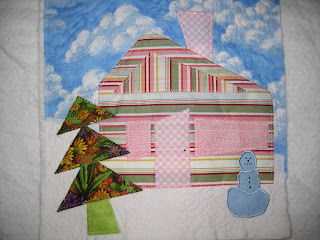 Appli-quilted Jan’s block, started Feb’s block and did the free motion quilting on Dec and Jan’s block. Yay me. Pics tomorrow. 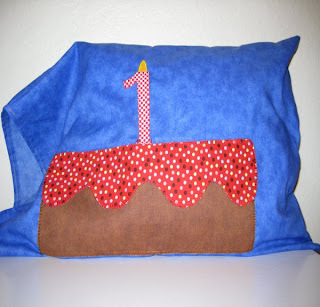 My grandson will be 1 in a couple of weeks so I made him a birthday cake pillowcase. This is a wallhanging for my grandson’s playmate. 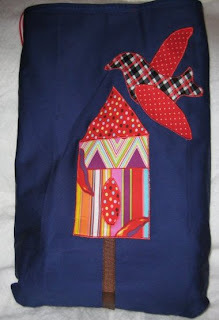 Yesterday using the black double sided fabric I made a bag that is too large for a purse. 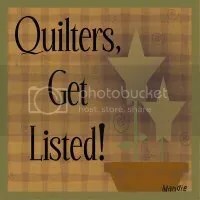 I still have lots of that fabric left so I’m thinking I will make a bag that is purse size and I will have enough for a make-up bag. 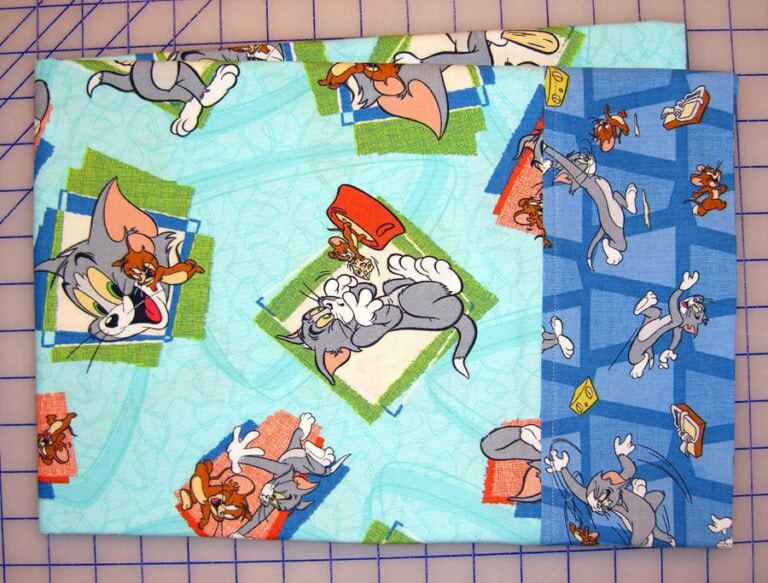 I also made 6 pillowcases for my grandson and 6 for his little playmate. No photos today. I will get that done today. 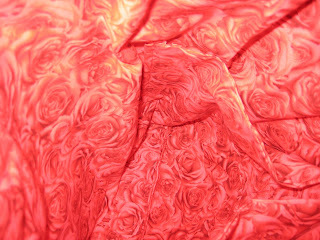 The following fabric will be used for pillowcases for my grandson and his little playmate. 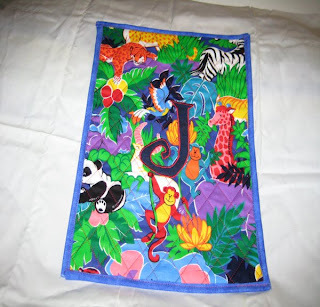 On the blue fabric I’m going to applique’ the child’s name on the pillowcase. 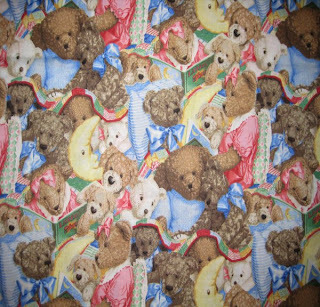 I loved this bear fabric. Nikolas carries his bear with him everywhere, so this fabric was appropriate. 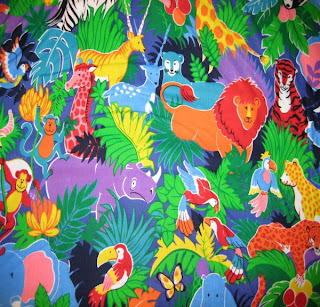 I chose the jungle fabric for Jesse, he loves giraffes. I tried hard to find fabric that just had giraffes. I think I’m going to have to search the internet for that. 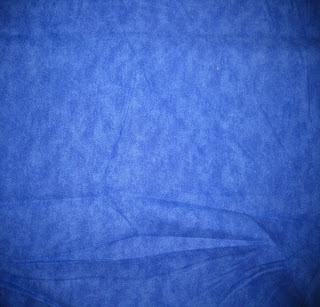 The fabric above and below is two-sided fabric that I will use to make reversible bags.